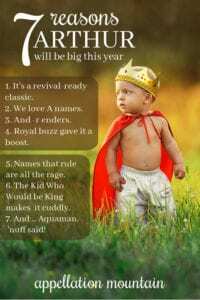 Ask me for my thoughts on rising boy names, and I’ll say this: I think Arthur will be big in 2019 and beyond. Read on for my seven reasons why Arthur is unstoppable in the coming years. If you read my post about Louis, you’ll know this was my first point in favor of that name’s rise, too. 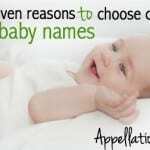 Maybe it’s obvious, but that doesn’t make it any less true: parents are always after the next similar-but-different name. Alexander led to Theodore, and Henry is giving way to Arthur. Maybe it’s because we’re still looking to bring home an A on that big exam. Or maybe the first letter of alphabet feels auspicious. For whatever reason, A remains the most popular first initial for girls, and slightly behind J for boys. Overall, that puts the letter first, and makes any A name a better candidate for discovery than, say, Urban or Yves. 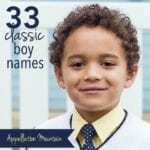 For ages, we were all about boys’ names ending with -n. Think Mason, Jackson, Aiden, and Logan, to name just a few. But lately it’s been the r-enders that are on the rise. Carter and Hunter have been around, so no surprise that similar surnames, like Foster, Fletcher, and Ledger, are climbing, too. Names like Jasper and Arthur get a boost from the same R-is-the-new-N trend. I felt certain that Arthur might be the name of the newest Cambridge prince. Will and Kate went with Louis instead, but Kate’s glamorous sis Pippa, named her son Arthur Michael William. Did the younger sister call dibs on the name? Or maybe they just plain loved the regal appellation. After all, Louis’ full name is Prince Louis Arthur Charles. All of this means that the name has been associated with the oh-so-style royals for months now, which helps raise its profile considerably. Speaking of names that rule, Arthur is undeniably regal. Not because of the current generation of princes, but thanks to the almost certainly legendary medieval king of Camelot. Names like Reign and Messiah are rising, along with slightly more subtle choices like Kingston and Kingsley. 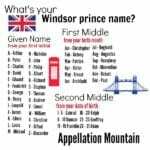 Arthur falls in another category: a commanding choice instantly associated with a crown, but still very much a traditional given name. It can be tough to imagine grandpa names on babies. A beloved children’s book character can shift our thinking, helping us to see the name as adorable on a small boy, wearable on a teenager, handsome for a grown man. We met Arthur the Aardvark in the 1970s; it’s been a PBS mainstay since the 1990s. Now The Kid Who Would be King comes to big screens early in 2019. While the hero of the tale is called Alex, there’s no question that he’s heir to Arthur. And that might reinforce the name’s regal cred, and also make it feel right for a twenty-first century kiddo. Aquaman might not be a record-shattering superhero film in the key of Black Panther. But it qualifies as a solid success, the kind of movie that everyone wants to see. But that’s not the deciding factor that puts Arthur on top. Instead, it’s actor Jason Momoa’s reinvention of the role. Until now, Arthur Curry has been a back-up blonde support figure, a great swimmer, friendly with fish. Now? He’s played by the muscular Jason Momoa, a tattooed Game of Thrones alum, an unlikely king but a ready-made hero for our age. If he answers to Arthur? Well, that’s a whole new take on the name. That makes my case for why Arthur will be big in 2019 and beyond. Agree or disagree? I love this name, and the old man appeal of the Art/Artie nickname is just fine, but it’s not a nickname I love, so that’s always held me back from considering it a serious contender. It just occurred to me that Arlo might work as a nickname. 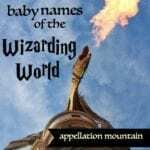 Would you consider doing a post about unexpected nicknames for Arthur? I really love Ari, and think it would work as a nickname for Arthur.